We at Fire Fight are pleased to offer specific products for the marine application market. Our Halon and other “Clean Agent Gas” products fit well into engine, electrical and generator compartments giving you a maximum safety factor at a minimum cost. 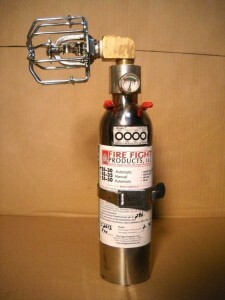 Our hand held Halon and AFFF “Foam” extinguishers are unique and convenient. Our Auto deploy fire suppression systems are on duty 24/7 in whatever compartment they are in. Monitoring ambient temperature in the compartment using a simple heat sensitive sprinkler head similar to ones used in commercial buildings, when the heat in the compartment builds to the predetermined release temperature (usually 286 deg. F.), our systems spring into action deploying the contentds of thier nitrogen pressurized container into your compartment effectively squelching a fire the opportunity to exist and while the concentration of our clean agent gas stays above 5% by volume, fire will not exist in that area. It’s as simple as that. No wiring to run, no consoles to monitor, no periodic maintenance to perform or contracts to pay for, as long as there is pressure reading on the pressure gauge on the cylinder, our system is ready to deploy. If you can run a screw gun, you can install these systems. 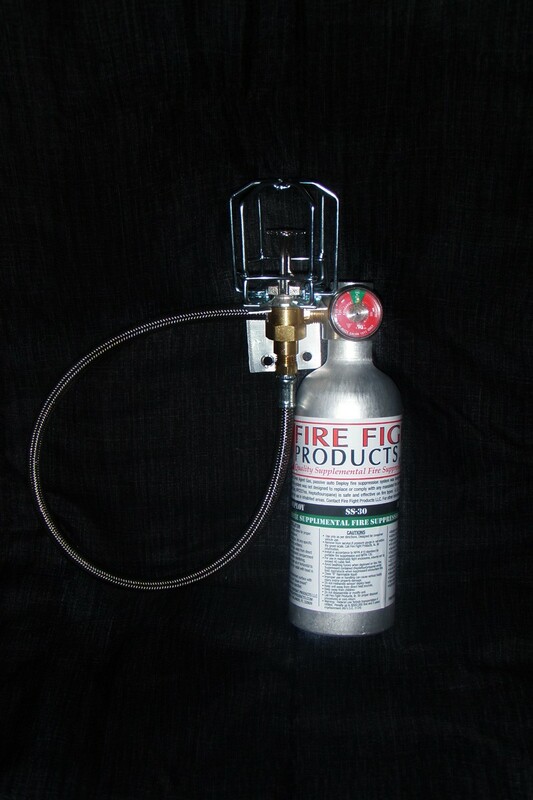 Fire Fight Products offers hand held fire fighting weapons to augment the auto deploy systems. You need protection when you need it. Fire Fight Products offers 3 units uniquely designed to help you.